New favorite baby knit alert! I’m now jumping on the Flax sweater bandwagon. You’ve probably seen a billion of these on Ravelry and now I understand why. 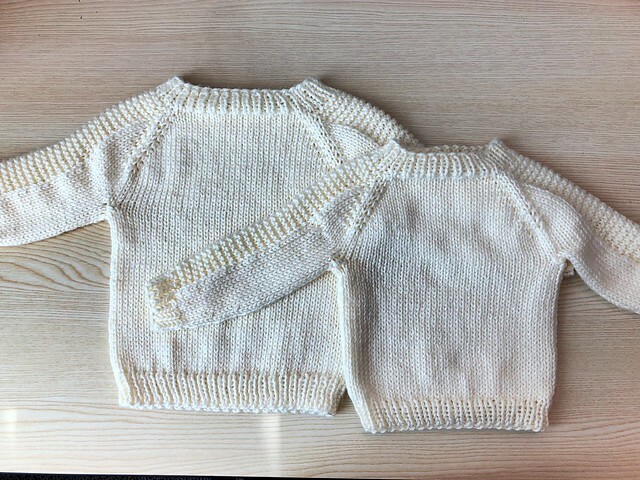 This is a Tin Can Knits sweater pattern and is in one of their free collections (go ahead and run over to Ravelry and download your pattern) and it’s a super simple top down sweater in sizes from newborn up to 4XL for adults! I asked Yuvay what kind of sweater she wanted for Homecoming for the girls this year (spoiler alert it was 80+ degrees and too warm for them to wear their sweaters so we’ll do a fall photo shoot later). I’ve kind of made it a tradition now between us that I make Maddie a sweater for homecoming every year. 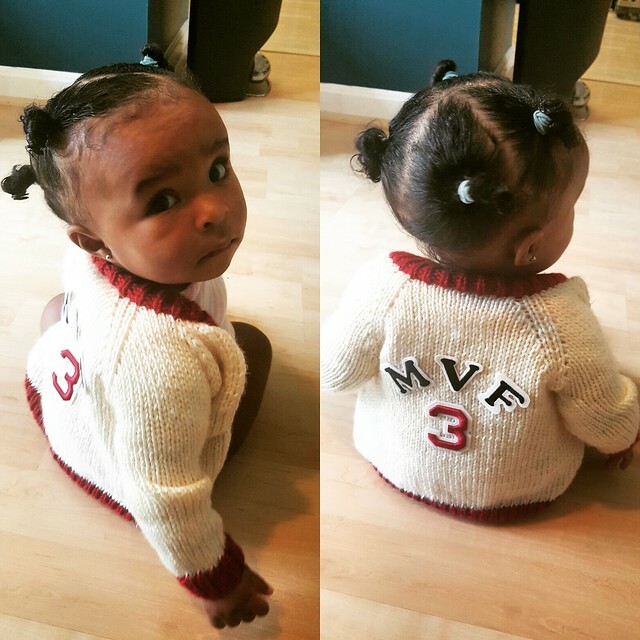 The first year I made this lovely varsity style sweater. 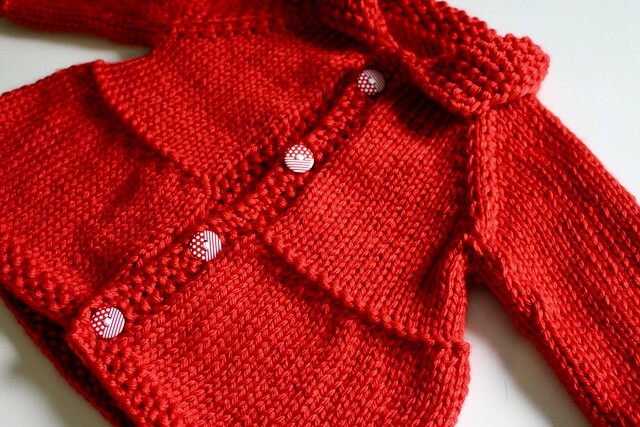 And last year I made this adorable tiered red jacket. Yuvay was pregnant with Olivia last year, so I knew this year I’d be making two sweaters for my girls. 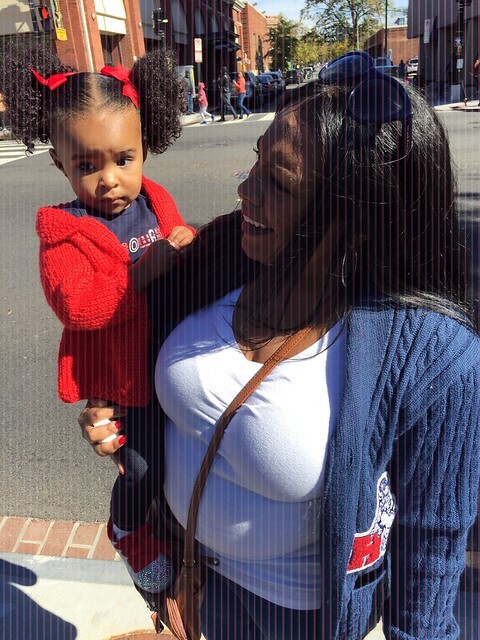 I should also note that Yuvay’s in a sorority, Delta Sigma Theta, and their colors are red and cream. So typically I make the girls sweaters for homecoming that are in sorority colors (plus Howard’s colors are red and blue so it will always match any Howard paraphernalia too. So this year I asked her what she wanted me to do. She said let’s do a pullover in just cream and make them the same because apparently the only things the girls have that are the same are pajamas. Matching sister sweaters it is and it gave me a chance to try Flax. I used my standard Caron Simply Soft yarn (they’re apparently having a flash sale today if anyone is interested in getting 25% off) in cream and plugged away. 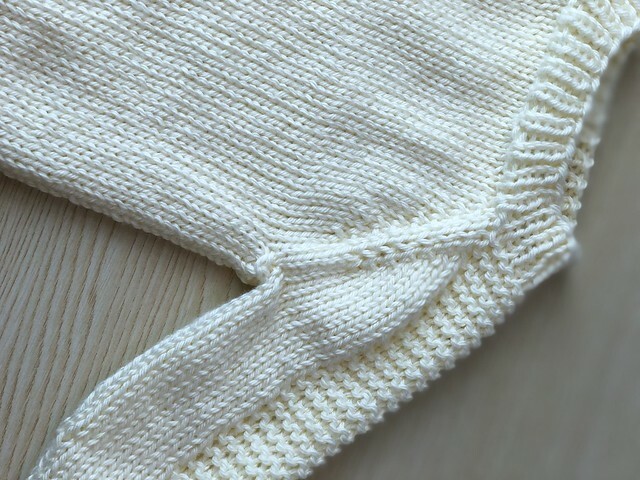 What I think elevates Flax a bit more than others basic raglans is the super simple garter stitch details down the sleeves. It’s so simple and yet it adds a nice little bit of polish to a simple sweater. I can’t wait to see them both wearing them this fall. Of course you would, Modification Queen. I want to be related to you because….all the knitted presents!!!! I absolutely love the huge generosity of your knitting heart!! I love that pattern. I plan to make one for myself after I ask Santa for some yarn this Christmas.